This year there were four performances at Opera Holland Park from 28-30 June, and there will be a Sunday matinée at the Royal Opera House on 8 July. The great Sir Anthony Dowell was among the distinguished guests who worked with students on their Summer shows at Opera Holland Park and the Royal Opera House this year. Our students had the great privilege of working with Sir Anthony as he presented a restaged version of Act III of Marius Petipa’s The Sleeping Beauty, Aurora’s Wedding. Approximately 40 dancers were involved from all three years of the Upper School with, at Sir Anthony’s suggestion, students from White Lodge dancing Red Riding Hood and the Wolf. The divertissements also included the revival of Dame Ninette’s Three Ivans and the Bluebird pas de deux, the White Cat and Puss in Boots and the final grand pas de deux between Aurora and her prince. We also welcomed Robert Binet to the School, to coach 3rd Year students in his ballet Self & Soul, which formed part of the mixed bill. Robert Binet, who was Choreographic Apprentice with The Royal Ballet 2012-13, created Self & Soul for The Erik Bruhn Prize in 2016. It is a dynamic pas de deux, set to music by A Winged Victory for the Sullen, exploring ‘undefined love’. Renowned Spanish choreographer Nacho Duato rehearsed students in sections of his piece Multiplicity. Inspired by the life and work of Johann Sebastian Bach, it draws on the emotions Bach’s music evoked in the choreographer, and based on the movement language of classical ballet. Mark Annear, former dancer with Australian Ballet, created a new abstract, neo-classical ballet on our Year 10 and 11 (White Lodge) students set to Stravinsky’s Pulcinella Suite. Mark is an established choreographer and has created more than 50 ballets for The Australian Ballet School, the West Australian Academy of Performing Arts, the Port Fairy Spring Music Festival, Richmond Ballet, Royal New Zealand Ballet, West Australian Ballet and the Dancers’ Company. Tania Fairbairn choreographed a character piece entitled Snegurochka for the younger dancers at White Lodge encompassing all students from Years 7 to 9. The piece was set to ‘incidental music’ from Tchaikovsky’s Snow Maiden and echoed the story of the Snow Maiden using a Russian character dance style. Year 10 and 11 students also performed excerpts from August Bournonville’s Napoli. 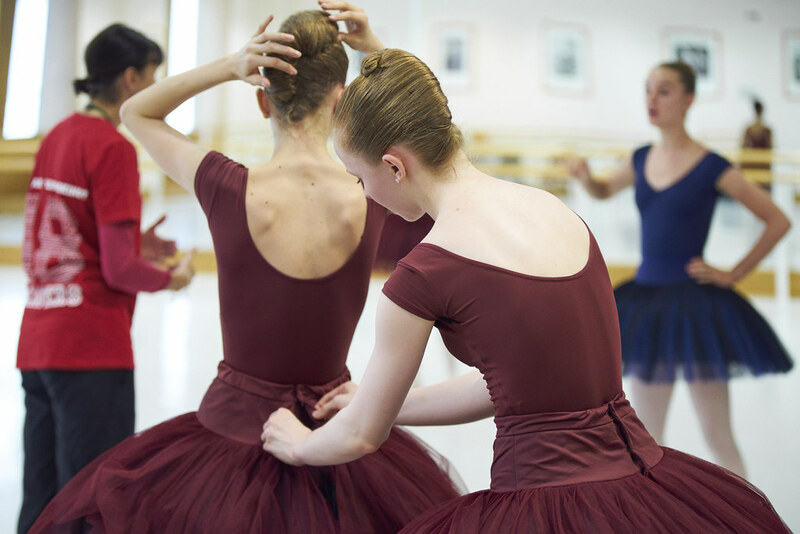 They were be taught by School Ballet Teachers Anita Young and Valeri Hristov, but also had the privilege of first-hand tuition from Danish Royal Ballet School Artistic Director, Thomas Lund and teachers Fernando Mora, Henriette Muus. See the full list of repertoire performed at each night of Opera Holland Park here.